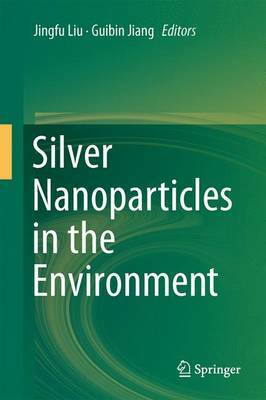 This comprehensive book covers the environmental issues concerning silver nanoparticles (AgNPs). Following an introduction to the history, properties and applications, the environmental concerns of AgNPs is discussed. In the second chapter, the separation, characterization and quantification of AgNPs in environment samples are described in detail. In the remaining parts of the book, the authors focus on the environmental processes and effects of AgNPs, with chapters on the pathway into environment, fate and transport, toxicological effects and mechanisms, as well as the environmental bioeffects and safety-assessment of AgNPs in the environment. This book is designed to describe current understanding of the environmental aspects of AgNPs. It provides a valuable resource to students and researchers in environmental science and technology, nanotechnology, toxicology, materials science and ecology; as well as to professionals involved in the production and consumption of AgNPs in various areas including catalysis, food products, textiles/fabrics, and medical products and devices. Jingfu Liu and Guibin Jiang are professors at State Key Laboratory of Environmental Chemistry and Ecotoxicology, Research Center for Eco-Environmental Sciences, Chinese Academy of Sciences.